Walk inland through the Aiguamolls Nature Reserve where innumerable seabirds and songbirds have settled. Visit the beautiful whitewashed coastal town of Cadaquès and the famous Salvador Dali house museum. Day 1: Arrive at Girona Airport/Centre or Figueres Vilafant Train Station (if travelling from Barcelona) where you will be transferred to your accommodation in L’Escala. The old centre of the town still retains the character of a typical Spanish working town with its bustling narrow streets and good selection of shops, bars, cafes and restaurants. There are two small, popular beaches in the old town that add to the overall charm and atmosphere of the area. Accommodation: Hotel, L’Escala. At only 300 meters from the historic centre of L’Escala with stunning sea-views and only 30 meters walk from the beach of Riells, you will find the perfect location for the start your Catalan Adventure. 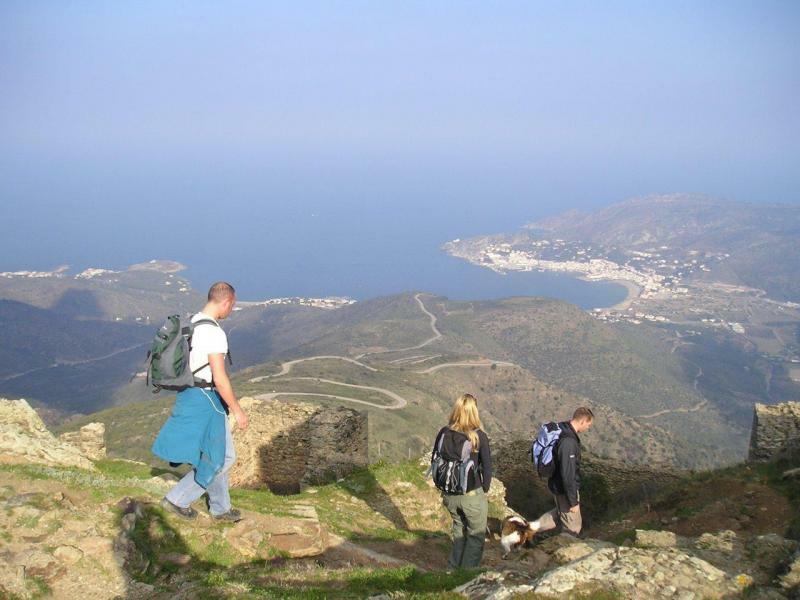 Day 2: Leaving L’Escala behind you will make your way onto the coastal trail. You will pass the walled settlement of Sant Martí d’Empúries, which is well worth a visit. The real highlight, however, is the fascinating Greek and Roman ruins at nearby Empúries (pay locally). The ancient city was used by the Romans as their base for the invasion and dominance of the Iberian Peninsula. There are some excellent mosaics and other remains, most dating from 218BC onwards. From Empúries, you walk along the southernmost part of the Bay of Roses, past several beaches where you could pause for a swim. 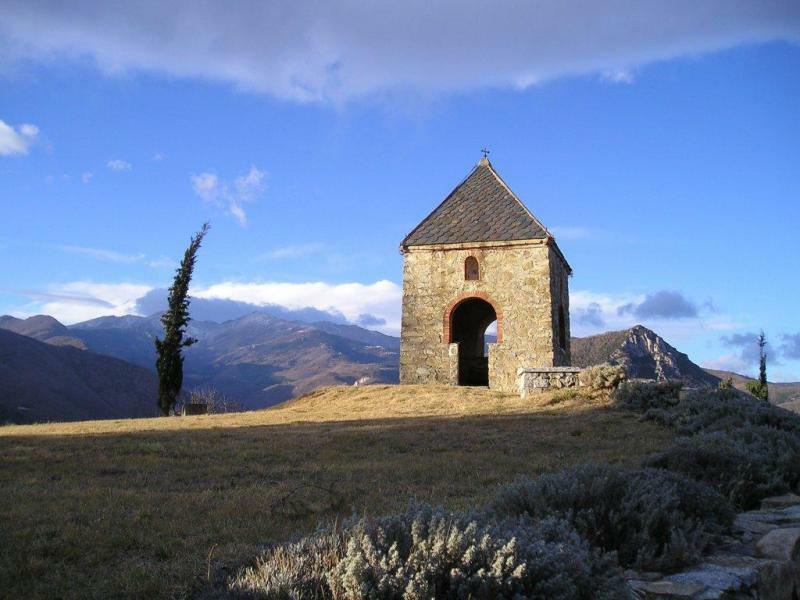 Accommodation: 4* Rural Farmhouse (Casa Rural), Sant Pere Pescador. 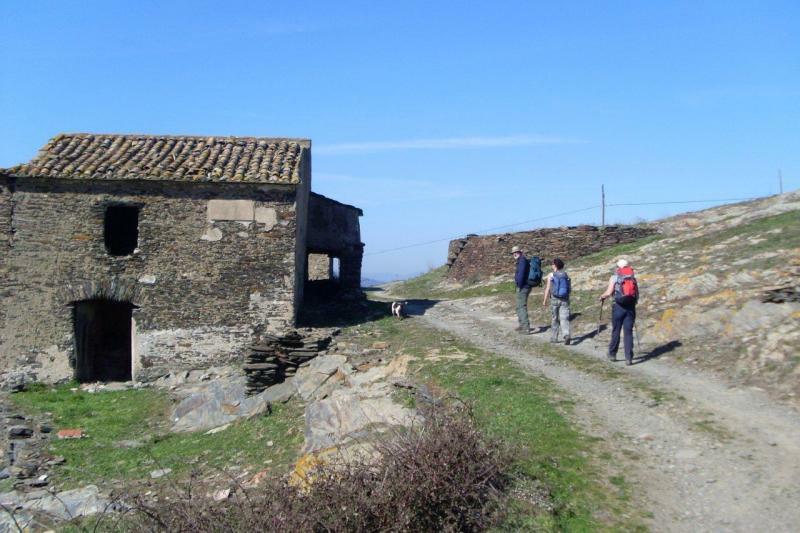 The house is situated next to the River Fluvia and is surrounded by fields of fruit trees. It is right at the beginning of the natural reserve “Parc de Mig de Dos Rius”, where there is a great diversity of fauna. The house was constructed in century XIX and is completely restored and furnished with care. It has five en-suite rooms, all with heating, television and air conditioning. The dining room is very sunny with views to the garden; the living room has a chimney, television, music equipment and board games. In the lounge you will be able to relax, read or simply enjoy the nature. Day 3: Today’s walk takes you along the banks of the River Fluviá, along the beach at its mouth and then through the Aiguamolls Natural Park, dotted with hides. At any time of the year you are likely to spot birds such as Ibis, Herons, Tufted Ducks, Pochards, snipes, Redshanks, Marsh Harriers and Sandpipers, but if you are lucky you can make some exciting sightings during the spring and autumn migrations: Grey Herons, Golden Plovers, Flamingos, Black Storks and Spoonbills. Accommodation: Hotel, Castello D’Empuriès. Located in the heart of the town, built on the ruins of the former home of the Count of Castello, each of the uniquely designed rooms are fitted with fully reversible air conditioning. They all have en-suite bathrooms, and offer lovely views of the village. Note: Cadaqués is a great place for eating out; it has a great selection of places ranging from small Mediterranean family run restaurants, to fresh fish restaurants, pizza cafes and tapas bars. We would recommend you get stuck in to the seafood during your stay in Cadaqués- it’s always very fresh and delicious when washed down with a bottle of chilled Catalan white wine. Accommodation: 3* Hotel, Cadaquès. Very close to the beach and the centre of Cadaqués this family run hotel is simple, clean and friendly. All the rooms have en-suite. Optional upgrade: With this recommended optional upgrade you can upgrade to a hotel on the beach with a sea-view room and terrace (see prices and availability section). 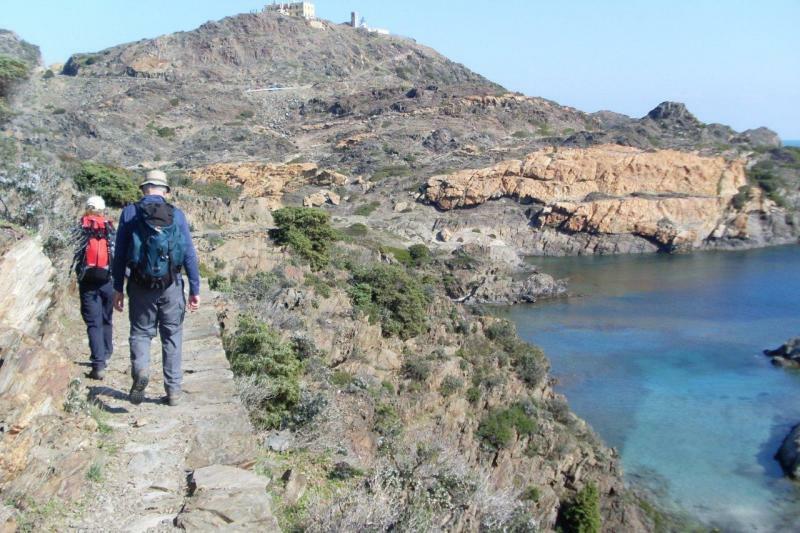 Day 6: Leaving Cadaqués behind you make your way north through the heart of the famous Cap de Creus national park. 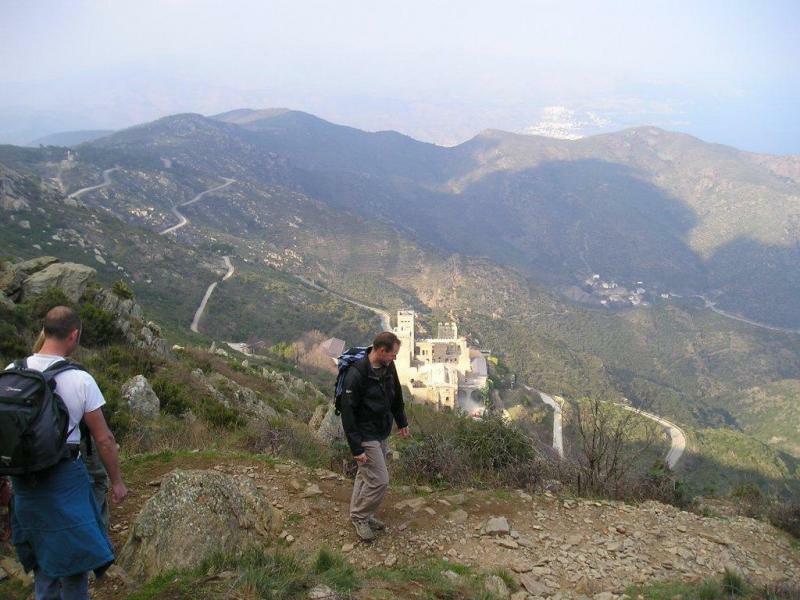 You will follow a deeply rural path with beautiful views of the Catalan countryside before arriving at El Port de la Selva. Accommodation: 4* Hotel, El Port de la Selva. 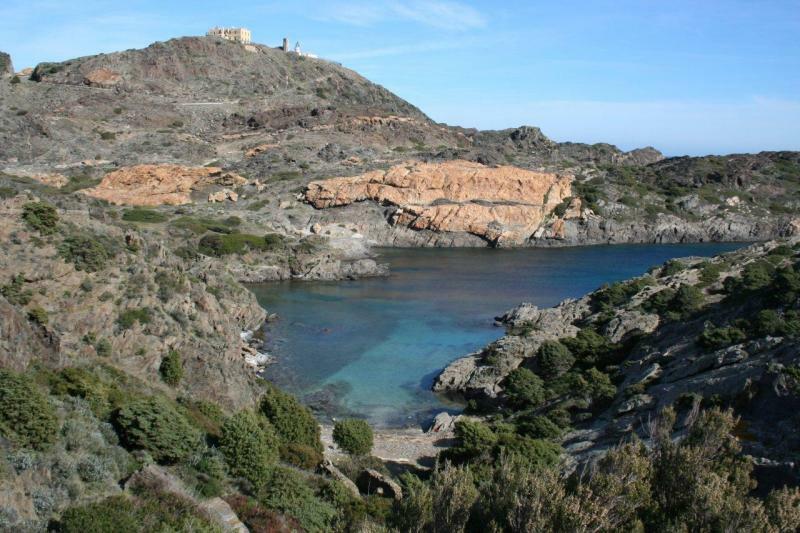 The hotel is an old manor house from 1864 made with stones from the Cap de Creus. It’s been a hotel since 1960, was totally refurbished in 2005 and is just a few meters from the beach. It has two restaurants (one of them in front of the sea) and a panoramic lounge. Palau Saverdera is a small medieval village with a beautiful little church in the centre, there are a few local bars in the village to enjoy a well deserved drink at the end of the day. Accommodation: 3 *Hotel, Palau Saverdera. The hotel, renovated in 2006, is a charming hotel situated in a small Catalan village, only 5 km away from the sea. Day 8: Pick up and transfer to Girona Airport/Centre or Figueres Vilafant Train Station (if travelling to Barcelona). Stop Press……….We are offering a €50 per person discount for all bookings “made” in April for this holiday!!!!! !